Planning a trip is exciting, joyous but also, let's face it, overwhelming. When it comes to planning a trip, there are a lot of choices to be made. Which destinations to visit? What is the best route? What are the perimeters you will want to include in your perfect vacation? How many nights should you spend at each location? You find yourself knee deep in trip planning – comparing hotels prices, researching and spending hours looking at maps. If only there was an easier, fun way to do it. Well, guess what? Now there is a perfect tool that will take care of all the hard work for you- RoutePerfect. RoutePerfect is a free do-it-yourself trip planning tool. It is your one–stop planning and booking tool that will serve as your new travel agent and will also help you save up to 20% on your package. Where do you want to start your trip? - Pick your starting point. Choose what type of traveller you are - Are you traveling with family or friends? Is it a romantic vacation? Or a solo venture? Decide on your budget - Are you splurging on fancy hotels or saving your money for some shopping and attractions? Play around with your preferences - The interactive preferences tool allows you to choose what you care most about in your trip. Is it visiting small towns? Relaxing on the beach or exploring nature? You decide! 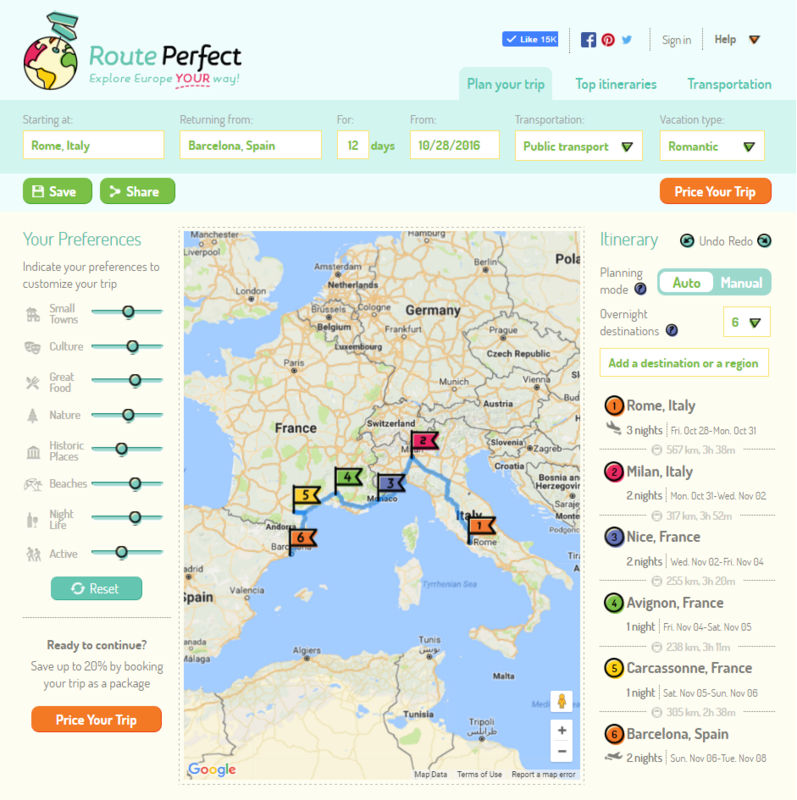 Choose an "Auto" or "Manual" planning mode - Let RoutePerfect plan your trip for you or play around with our interactive map. Price your trip - Get your reduced package price and the itinerary for your entire trip and book it all in one click! You can also choose from the many recommended, already planned, top itineraries. RoutePerfect brings back the fun into trip planning and saves you time and money. The process of planning is fast and easy, and the result is a perfect, tailor made itinerary with a reduced package price. Create Your Own Personal Itinerary! 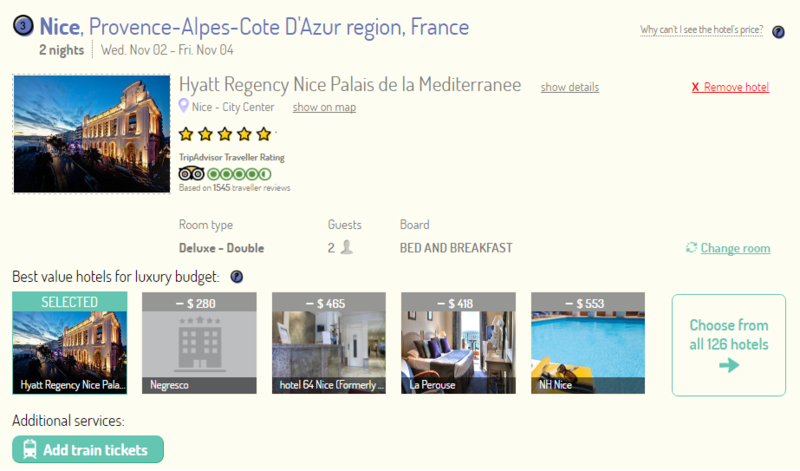 Select From Top Rated Hotels!